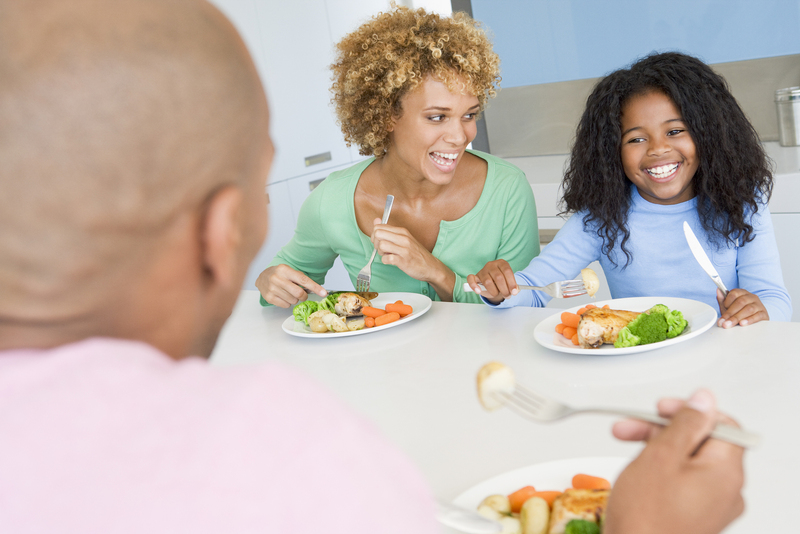 With school, activities and work pulling families in different directions, adding healthy food and exercise to your busy lifestyle can seem overwhelming. However you don’t have to take on major changes all at once, and starting early will save you from problems down the road. Eat low-calorie nutritious food like fruits, vegetables, whole grains, low-fat dairy products, lean meats and fish. Keep fatty and fried foods, baked goods and sweets off the menu. Fill their cups with water or low-fat/fat-free milk and avoid sweetened drinks like soda and energy drinks. A small amount of 100 % juice is OK for children over the age of 1. Make sure that healthy food and drink choices are readily available, as that makes it easier for the child to make healthy choices. While these recommendations are a great place to start, they’re really only half of the equation. Children need at least 60 minutes of physical activity per day to maintain a healthy body weight. It’s also recommended that parents limit screen-time to 2hrs max per day, and avoid screen-time altogether for children under the age of 2. To ensure that these new habits stick, Dr. Hassink suggests making one or two of these changes part of our regular routine, and then gradually adding more as you go. She also recommends getting the whole family involved for the sake of accountability.